Rhydian (born 14 February 1983) is a singer from Powys, Wales, best known for his appearance on the fourth series of the British talent show The X Factor (2007) in which he came second. He was praised by all four judges throughout the series for his impressive performances, and he was the favourite to win the competition with the bookmakers. Rhydian released his self-titled debut album, 'Rhydian', on the 24th of November 2008. 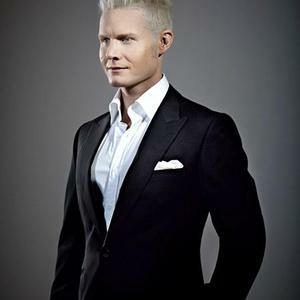 Rhydian released his self-titled debut album, 'Rhydian', on the 24th of November 2008. His characteristically flamboyant interpretations of hits from musicals and beyond take up a fair amount of this release, with Rhydian even performing a duet with Broadway legend Idina Menzel on 'What If'.